November saw Community Integrated Care host a prestigious event at Tate Liverpool highlighting the charity’s thriving examples of utilising arts, sports and community engagement to promote the health and happiness of people living with dementia. 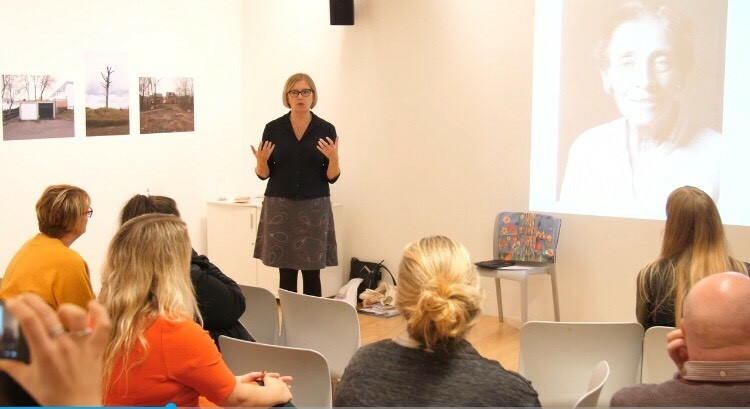 The event was part of the week-long event “The Art of Social Mobility”, curated by Open Eye Gallery, which saw a host of inspirational speakers take to the stage commenting on the positive effect of embedding arts and sports in the care sector. “Creativity and Culture in Dementia Care” saw several speakers take to the stage including Community Integrated Care’s Regional Manager Paula Dodman and James Rules, CEO of rugby league club, Widnes Vikings. Both highlighted the positive impact our partnerships with local sports clubs were having on the people we support and discussed the need to turn sporting stadiums into community anchors – combatting social isolation. Rebecca Blackwood, CEO of Age Exchange – the national pioneers of arts and reminiscence in dementia care, also spoke at the event. Rebecca talked passionately about the positive effect creativity has on people who are living with dementia, commenting on how the reminiscence artists who work for Age Exchange are like detectives, discovering who someone really is whilst living with the disease. A range of interactive workshops also took place throughout the day, with guests encouraged to take part in a reminisce session. The session, which was ran by artist Zoe Gilmour who works with our partner charity Age Exchange, saw guests communicate with each other over different reminiscence objects.